For children suffering from severe malaria, hypoglycaemia is one of the main risk factors for a fatal outcome. There is, however, a simple, accessible solution that allows family members and health workers to save lives. A spoonful of moistened sugar deposited under the tongue of a young child in the early hours of severe malaria can correct hypoglycaemia in record time – at home or in transit to a health centre. This is a first-aid measure while waiting for emergency treatment to arrive (an infusion of glucose or a stomach tube still being required if the blood glucose level is not corrected by the sublingual sugar). 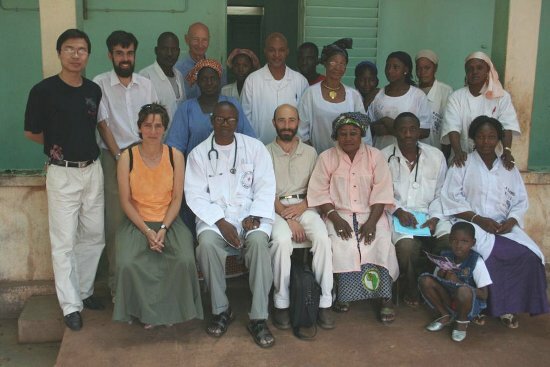 A clinical study was conducted by the Department of Paediatrics at Sikasso hospital in Mali in 2008, in collaboration with Antenna Technologies and the Swiss Agency for Development and Cooperation. For patients who are in a coma or lying down, open the mouth by gently squeezing with the thumb and forefinger. Place the sugar under the tongue. Place the patient on his/her side (in the lateral decubitus position) to prevent choking (inhalation hazard). Retry after 10 minutes if the patient has not regained consciousness. Then maintain a steady supply of sublingual sugar (every 10 to 15 minutes) and supervise until stabilisation. The administration of sublingual sugar is a real life-saving solution in remote areas where the disease is most devastating. The challenge is now to bring this process to tropical medicine specialists throughout the world, for reference books used to teach medicine to be updated, and for the WHO and other health agencies to include this process in their guidelines. Through our efforts, this technique is now mentioned in the clinical and therapeutic guide of the organisation Médecins Sans Frontières. We are still working to roll it out more widely. Results of the study: Sublingual sugar for hypoglycaemia in children with severe malaria: A pilot clinical study, Malaria Journal 2008, by Bertrand Graz, Moussa Dicko, Merlin L Willcox, Bernard Lambert, Jacques Falquet, Mathieu Forster, Sergio Giani, Chiaka Diakite, Eugène M Dembele, Drissa Diallo and Hubert Barennes. Finding the North-South divide intolerable, we were driven to seek solutions which would improve daily living conditions for the most disadvantaged people. Antenna now has over 60 projects in over 30 countries. An incubator of innovations for the most disadvantaged.